Raphael Soriano was born in Greece(Rhodes), in 1907 and emigrated to the United States in 1924. In 1934 Soriano became an architect after studying at the University of Southern California. 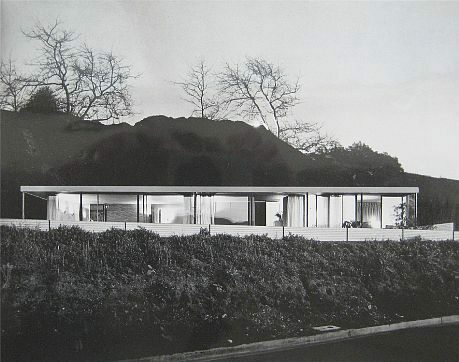 For a while he worked in the Richard J. Neutra office before founding his own firm in Los Angeles, in 1936. Raphael Soriano built a number of steel-frame bungalows with clear-cut shapes. Within many of his iconic buildings there are the Case Study House 1950 in Pacific Palisades, California, with a rectangular plan and floor-to-ceiling glazing, as well the Julius Shulman house and studio in Los Angeles, California (1950). He also designed a prototype house for mass production with a light steel structure, steel-covered roof, and sliding-glass doors, which won many awards by the American Institute of Architects. Raphael Soriano died in 1988.